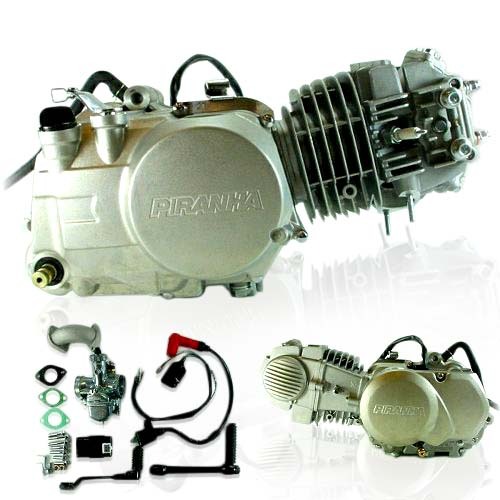 This is the famous Piranha 140cc Engine. Often referred to as the YX140cc, this is our ALL TIME best selling engine. Top performance and economy all in one. This is a Super sturdy and Very strong running engine. At TBolt we offer the latest version available with larger kicker shaft and all of the most current improvements. See picture for included parts. Engine available as pictured. We've had tremendous luck with this engine, and it's a Great Replacement engine or for builds & Projects. Great motor, tons of power! ..